On the Loire, Roanne is a former river port that has been reborn as a tourist getaway. Most people are aware of Raonne for two reasons: The archaeological museum, which has an Egyptology department up there with the best in the country. But also for food, as the restaurant La Maison Troisgros here has held three Michelin stars continuously since 1968. The Loire is part of Roanne’s charm, and has been dammed to create a big lake and a scenic gorge where green, vine-covered hills roll down to the water. 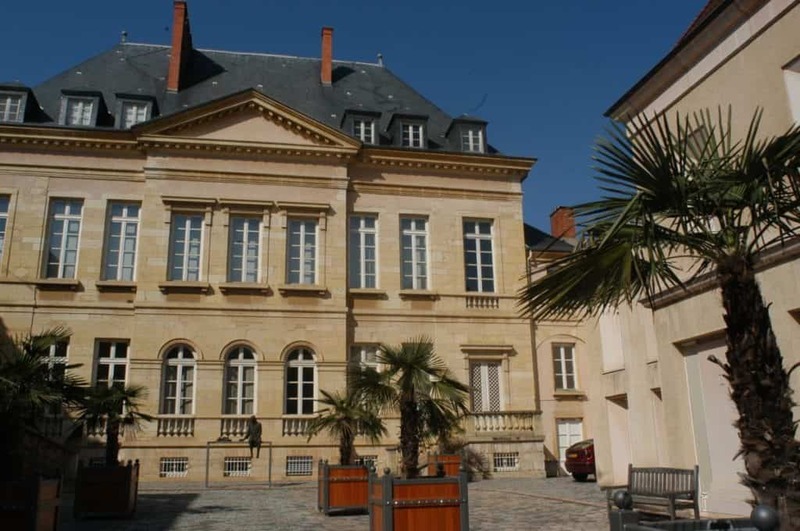 Roanne’s municipal museum shines for its archaeology and decorative arts. It has a compelling Egyptology collection with funerary masks, steles, amulets, sarcophagi and vases going back to the 4th Dynasty around 4,500 years ago. Most of these were brought back to France by the museum’s namesake, archaeologist Joseph Déchelette. After that the ceramics is lauded as the richest in the region, and has faience from Delft, majolica and Italian tiles from the 16th to the 18th century. Up to the 1900s Roanne had its own earthenware industry and this is also covered in the galleries. At 10:30 on Tuesdays in July and August a guide from the tourist office leads groups around the town pointing out the main sights and the story behind them. It’s the best way to find some details you might otherwise have missed, like the Gallo-Roman pottery kilns. You’ll also go inside Château de Roanne, an 11th-century castle that now contains Raonne’s town hall, as well as the tourist office. Among the thing you’ll see on the streets are medieval houses like the Maison à Pans de Bois, a cute timber-framed house listed has a French historic monument. It’s not hard to find inspiration for walks around Roanne: If you follow the Loire upstream for a few minutes you’ll arrive at a beautiful gorge with shallow sloping walls, formed by the Villerest Dam. 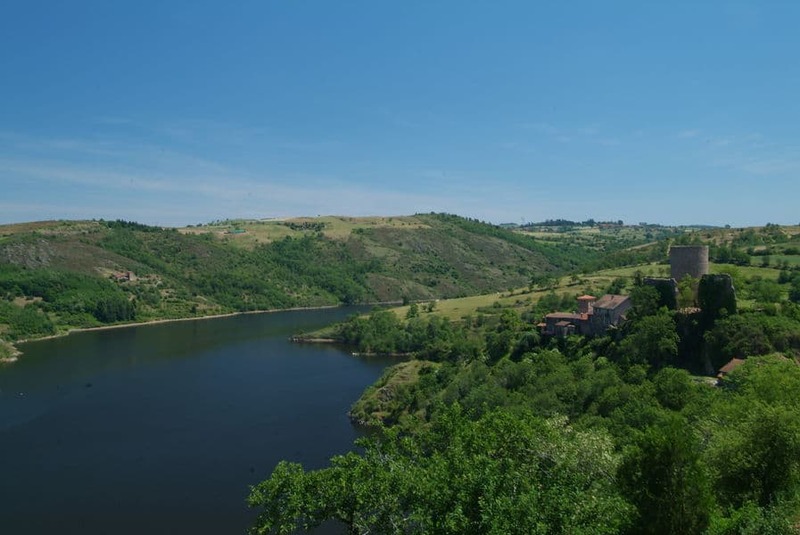 The river broadens here and weaves past an intoxicating blend of Mediterranean and temperate landscapes with meadows and slopes chiselled with vineyards. Lending real drama to lake arw the perched village of Saint-Jean-Saint-Maurice lifted high above the river, and the romantic Château de La Roche, stranded on an island in the river after the dam was completed in the 20th century. 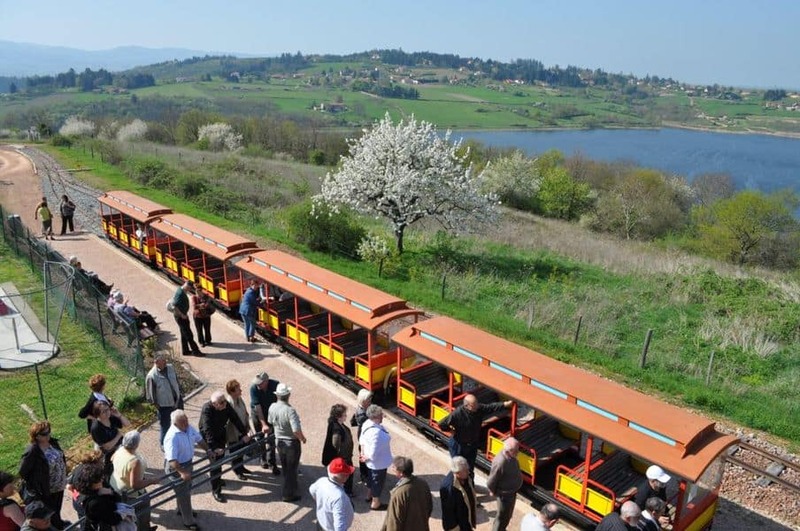 If you’re visiting the gorge with littler family members you can opt for this mini train instead of hiking. It’s a seven-kilometre loop designed to give you the best panoramas from the hills around the Loire. The ride will take just over an hour, and there’s a guided commentary as you go. The train operates from May to September, and during the school holidays there are now balloon modellers, magicians, clowns and musicians to keep kids entertained. That unforgettable castle in the Gorges de Loire is open daily in the summer months. Looks can be a little deceiving, because although the castle was founded in the 1200s it suffered down the ages. It was a ruin when the dam was built, but in the 1990s the building was given a new fairytale design and was linked to the shore by a new bridge. There are five exhibition rooms inside recounting the castle’s tumultuous story, and furnishing it in a medieval style. Every Friday evening in the summer you can come to the castle for a glass of wine and ponder the scene from the terrace. 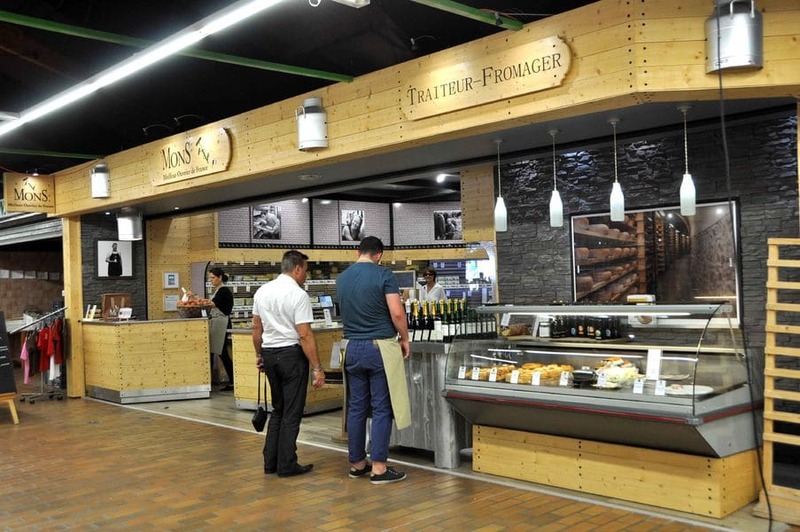 Open every morning except Monday, Roanne’s covered market is well-stocked with goodies, as you’d hope from a town home to the legendary Maison Troisgros restaurant. Les Halles Diderot is a posh gastronomic experience, similar to the Baul Bocuse market in Lyon. Many of the traders are at the top in their fields, like the Pralus chocolatier, the fishmonger Mr Chavrier and the fromagier Mr Mons. There are three restaurants in the market, and for a real foodie activity you can come to taste freshly shucked oysters. Now just for pleasure, Raonne’s river port used to ship tons of coal, ceramics, cereals and wood as far as Nantes on the Loire and Paris on the canal system. In the past they would uses “cabanes”, specially made craft made of oak with flat hulls. That had all ended by 1992, and these days it’s a popular mooring spot for its low rates and convivial atmosphere. You can hire an electric boat from the jetty here. 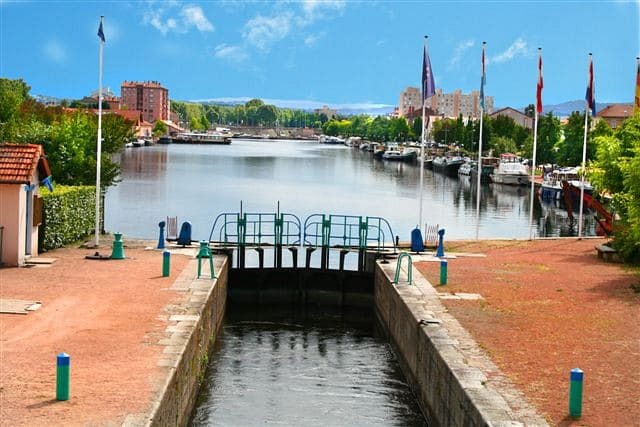 These accommodate up to seven people and you won’t need a licence; in the summer you can just show up and embark on a little voyage on the canal between Roanne and Digoin, 70 kilometres to the north. Roanne has several churches, and the smaller they get, the more interesting they are. Take the Chapelle Saint-Michel, founded in 1617 for a Jesuit college and designed in an Italian Renaissance style. The craftsmanship inside merits a closer look for the altar clad with a polychrome marble mosaic, carved wooden pulpit and stalls. 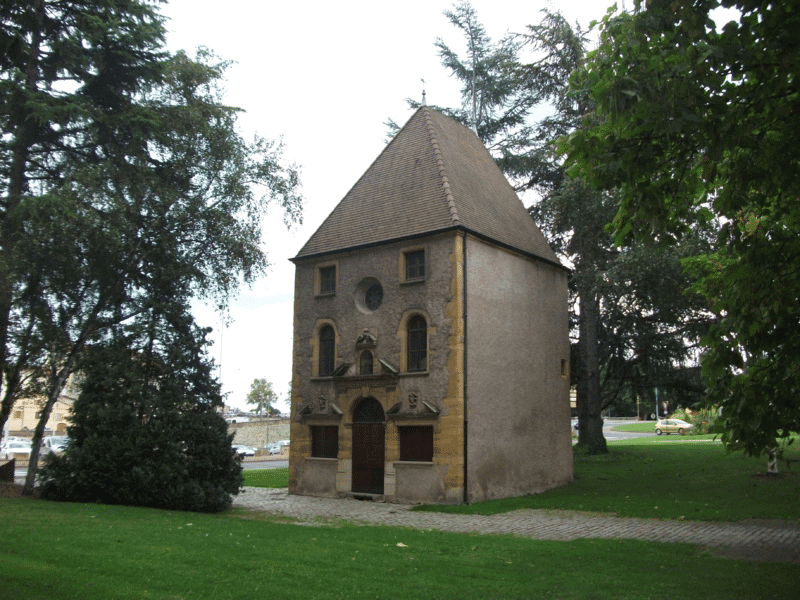 There was an outbreak of plague in Eastern France in 1628, and in 1630 Roanne’s sailors built the Chapelle Saint-Nicolas-du-Port by the water to give thanks for their survival. Over the last 400 years it’s been used a home, a grain deposit and even a post office. Downstream from the Gorges de Loire and a little closer to Raonne is the lake where the town comes to unwind in summer. Like the gorge this is man-made and created by the Villerest Dam. On the shore are gently sloping hills with woodland and pasture, farming hamlets and leisure facilities that you can make the most of. On the north shore there’s a beach watched by lifeguards in July and August, and combined with a mini-golf course, campsite and kids’ playgrounds. There’s also a small port where you can take a cruise boat down to the Château de La Roche. 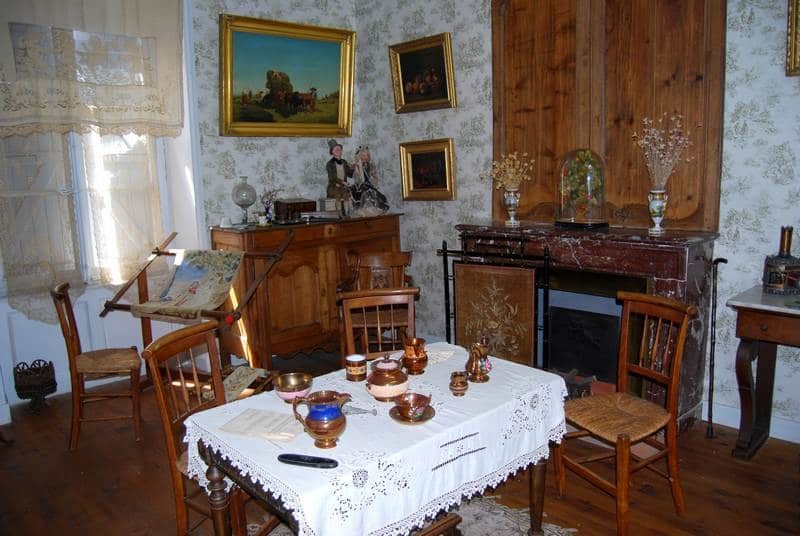 In the village of Ambierle a few kilometres west is a museum with the coveted “Musée de France” label. Alice Taverne was a 20th-century historian and ethnographer who helped safeguard the folk traditions of the region she grew up in. The objects Tavierne collected became the basis of a museum in 1952. What you see are vignettes of local life from 1840 to 1950, with interiors of homes (both humble and upscale), a lace-making workshop, cooperage, general store and a lot more. Every display is full of authentic historical details, like vintage signs, tableware and food containers. 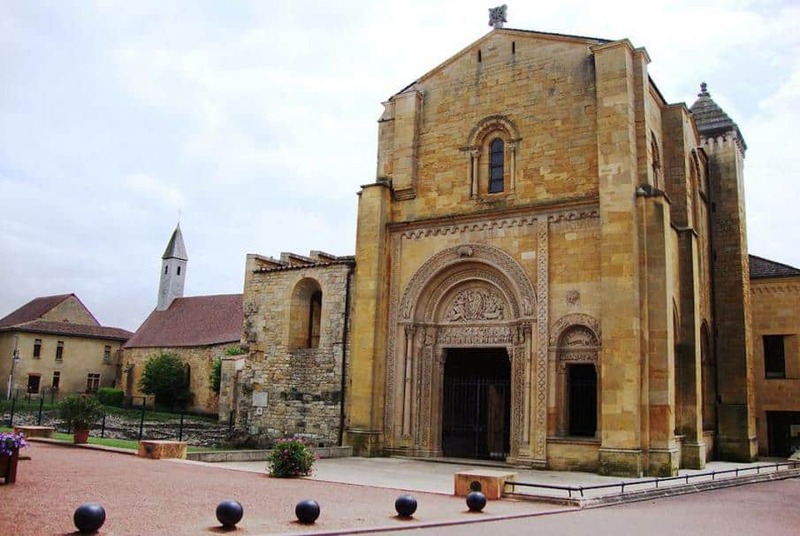 At 20 kilometres from Roanne, Charlieu needs to be in your plans for its extraordinary Benedictine Abbey. This was established as long ago as the 9th century, but the architecture that confronts you now is from the 1100s. The north facade is a pinnacle of late-Romanesque art, with two portals carved with dazzling artistry and skill. One tympanum shows Jesus surrounded by the four evangels, above a lintel with Mary and the twelve apostles. Around the complex you can shuffle through a museum and lapidary collection, the cloister, chapterhouse and Prior’s chapel. One of the “most beautiful detours in France”, Charlieu is somewhere you’ll want to linger for a few more hours. It’s strolling heaven, with different periods from its past preserved as Medieval timber-framed houses, stone renaissance mansions and French Classical properties full of poise. Its role as a religious centre can also be seen at the Church of Saint-Philibert. Go in for the choir stalls, which were sculpted in the 1400s and have delightful backrests with painted characters. The Convent of the Cordeliers is a must thanks its cloister, with sculpted capitals in the north gallery symbolising the seven Virtues. And to round off your day in Charlieu are a couple of top-notch museums that will immerse you in local trade and daily life down the years. 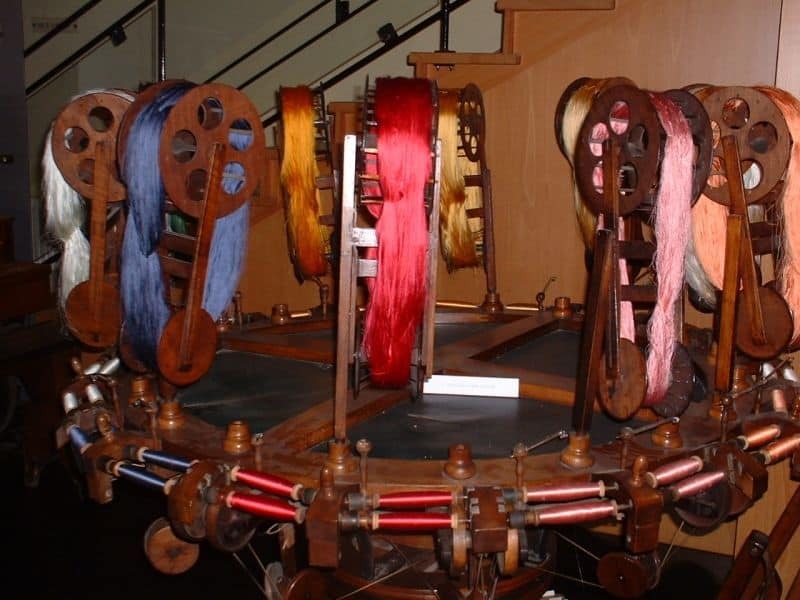 The first is the silk museum, shedding light on the silk spinning craft that has been vital to Charlieu since the 1700s. You’ll see how fabrics were manufactured for clothing and upholstery, and there’s a store selling the latest wares produced by Charlieu’s workshops. Then at the 18th-century former hospital you’ll get a dose of healthcare in Charlieu hundreds of years ago. The apothecary has hardly been touched since the hospital closed and has the same earthenware medicine pots kept in wooden cabinets. 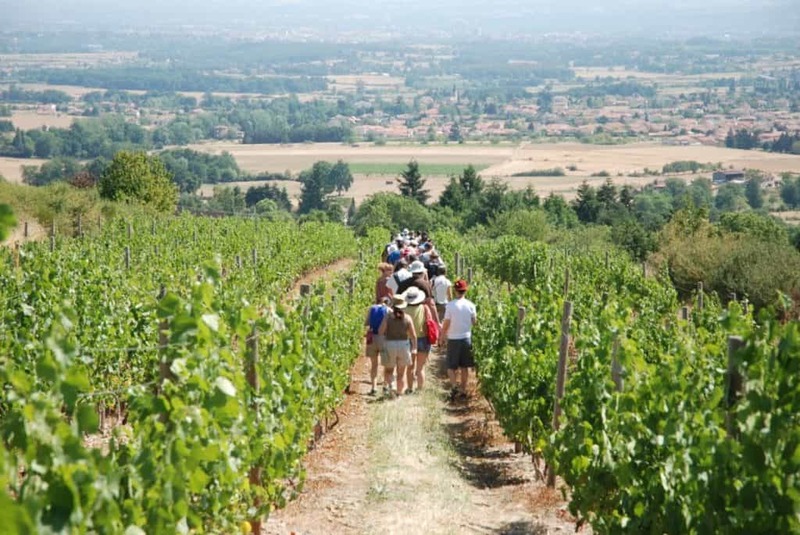 The Côte-Roannaise is a long sliver of terraced vineyards that runs north to south for 20 kilometres. Despite its length it doesn’t amount to a huge area; just over 200 hectares in all, encompassing some 30 winegrowers. Nearly all of the wine (90%) produced here is red, adored for its fruity flavour and tones of leather and spices. It’s the ideal match for Roanne’s rich cuisine. The remaining 10% is a light, refreshing rosé, often chosen as an aperitif. If this has piqued your interest there are several days-worth of domains that are happy to show you around their property, in an area with fairly new, boutique operations. 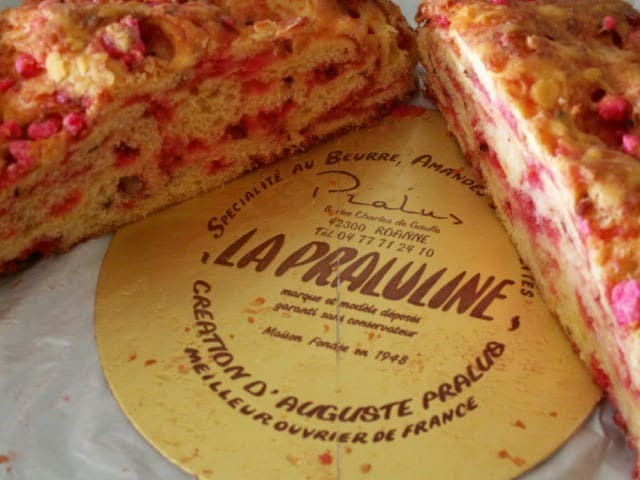 The Praluline was dreamed up by feted Roanne chocolatier Auguste Praus in 1955. This is a brioche filled with decadent pink pralines, a blend of candied almonds and hazelnuts. A culinary visit you shouldn’t miss is the Mons Dairy, making almost 200 cheese varieties. But the best part is seeing where this cheese is stored to mature, underground in the former Collonge railway tunnel. A classic dish in this part of France is the andouille, a speciality of nearby Charlie and is a tripe sausage made from pork, red wine and spices. It goes well in simple dishes like a gratin with potatoes and onions.